The first step in the process to obtain J-1 status is to establish your relationship with a department in the University. Only upon request from the Human Resources or Academic Affairs Administrator in a University department will a Form DS-2019 for purposes of obtaining a J-1 visa be issued by our office. You will require this form to obtain a J-1 visa from the U.S. consulate or embassy nearest you. Once you have received your visa, you will be able to make your travel arrangements to come to Chicago. While the non-immigrant status in question is J-1, this status includes several categories. Each of these categories has its own set of responsibilities and benefits, and it is important that you understand these. There are three possible J-1 categories under which a visitor might come to the University. Each category has its own regulations and limitations. A J-1 Research Scholar or J-1 Professor may stay up to 5 years, but this category has significant drawbacks, such as the two-year home residency requirement and the two-year repeat bar. While the J-1 Short-Term Scholar category does not have some of those drawbacks, it only allows the scholar to stay for a maximum of 6 months. In cases where someone could qualify for both J-1 and H-1B status, the University will sponsor J-1 status, unless significant circumstances mitigate against J-1. For further information, please consult with your department in the University or contact our office at international-affairs@uchicago.edu. Do not come in B-1/B-2 status or under the Visa Waiver Program, unless specifically instructed to do so by our office! Do not schedule your visa appointment before you have received the Form DS-2019 from us! Do not make your travel arrangements before you have the visa in hand! Do not assume that lack of compliance up front can be fixed later! 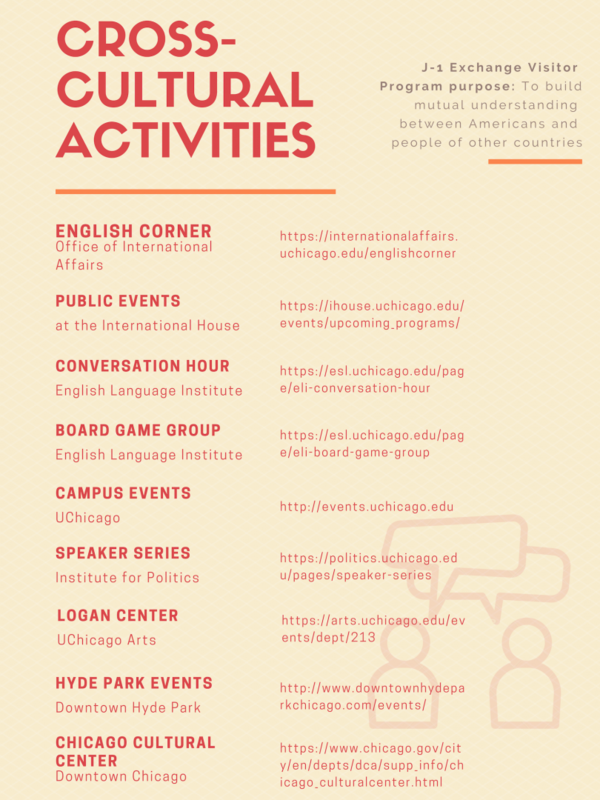 Click here for more information on who may come to the University of Chicago in tourist status.